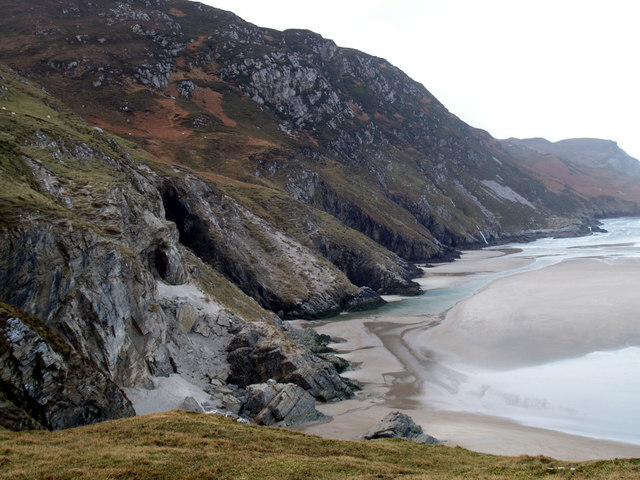 Maghera beach was named in Ireland’s top ten beaches by the renowned ‘Trip Advisor’ web site. The 2016 ‘Travellers Choice Award’ was given as 90% of visitors had rated it as either ‘Excellent’ or ‘Very good’ as a visitor attraction. Incidentally, the site named the beach as one of ’18 things to do in Ardara’. Sites such as Assaranca, Dorlin Strand, Glengesh were included, and businesses such as Nancy’s, the Ceili House, Kennedy’s and John Molloys were also mentioned. Only 18, I hear you say, well yes, there are a number of things that Trip Advisor has yet to discover e.g. Hill Walking, the Dolmen Centre, Doon Fort, Bonny Glen etc. So any visitors out there who have visited these sites, and want to let others know about it, please feel free to ‘advise’ Trip Advisor of our other ‘Wee Gems’!